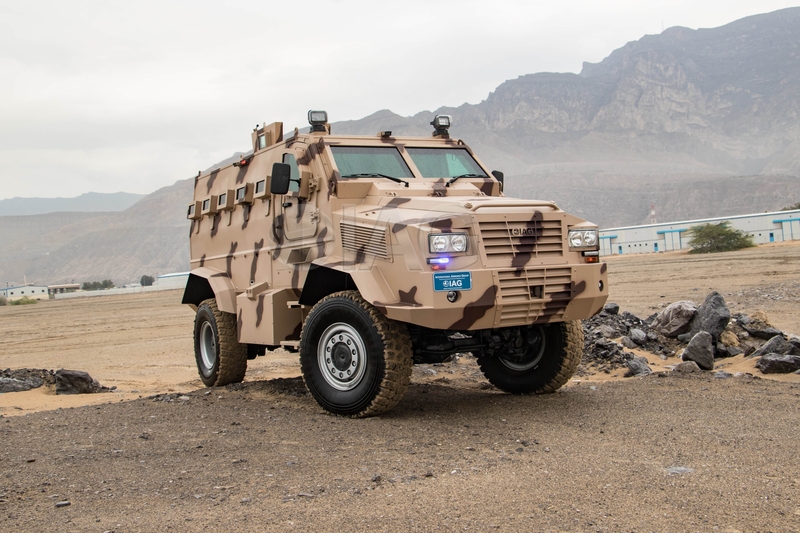 One of the newer mine-resistant trucks in the market today comes from International Armored Group (IAG) from the UAE. First unveiled in 2017, the Rila is the largest armored vehicle developed by the company and is supposed to entice customers looking for a cost-effective battle transport that isn’t US Army surplus. The Rila’s appearance is archetypal for its class, with a v-hull stretched over a commercial chassis from Iveco, and its main selling point is spaciousness. A total of 12 passengers entering through a rear swing door can be seated in its troop compartment, with ample space left in the cab for the driver and their partner. According to IAG’s product literature the Rila’s ballistic protection reaches STANAG III (this can be raised to STANAG IV) and it’s equally prepared to fight together with the troops. Firing ports are found on the cab doors and beneath each of the eight viewing ports for the passengers. There are firing ports at the back of the vehicle too; one is located on the rear swing door and two more on either side of it. For the sake of suppressive fire a roof hatch serves as a machine gun turret with a bespoke cupola. Other external features are the barely noticeable storage bins on the lower half of the hull and two lamps on the cab roof. IAG haven’t specified whether the Rila has a fire suppression system, CBRN filtration, or IED jammers installed. When it comes to mobility the Rila uses automatic transmission and runs on an unnamed 380 horsepower six cylinder turbo diesel engine. A guesstimate for top speed is just 100 kilometers per hour. IAG does let customers choose if they prefer left hand or right hand steering. They also made sure it has independent suspension for off-road journeys and the chassis can be altered to a 6×6 configuration. The Guardian Xtreme. Via International Armored Group. The Rila is currently being marketed as an APC, an armored ambulance, and a riot control truck for law enforcement. The constant demand for protected wheeled transports in both active war zones and congested cities are going to drive sales in the short to medium-term. When vulnerable pickup trucks and old tracked APCs are simply not an option, MRAPs like the Rila serve as good enough alternatives. The best known vehicles in IAG’s military catalog are the Guardian armored 4×4’s that have seen combat in Africa and the Middle East. 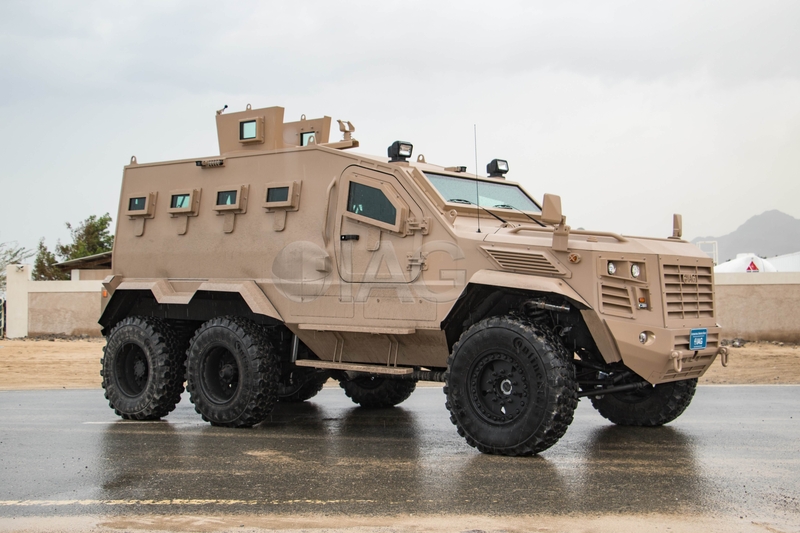 In the same year the Rila debuted IAG also showed off the Guardian Xtreme that shares many of the Rila’s characteristics, except the Xtreme has a 6×6 chassis. IAG’s Guardian vehicles begin with a bulletproof transport, a heavier sibling with extra passenger space called the Guardian XL, and the Guardian Max LTV commando car equipped for long-range reconnaissance. With decades of experience in commercial vehicle armoring and production facilities in the UAE, the UK, and the US, IAG prides itself for having more capacity than its competition. The company boasts it can assemble hundreds of units a month for customers who need to build serious vehicle fleets in a hurry.